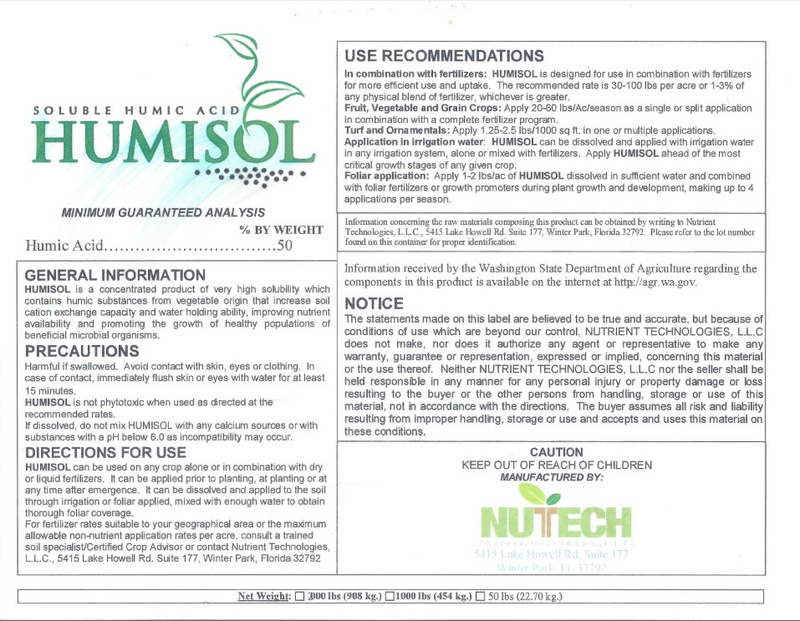 Humisol is a granulated water soluble 50% Humic acid. It is designed to be used as a preplant application and mixed with other preplant fertilizer. It will help soils that may be high in Sodium, low in Organic matter, and a low Cation Exchange Capacity. This product will also on soil that have a tendency to compact and poodle water. A good soil sample run through our recommendation program will establish the amount to use. The recommended amount will vary from 0 pounds/acre to 50 pounds/acre. Caution! Using this product incorrectly can reduce crop yields.